NEW Western boots with style! 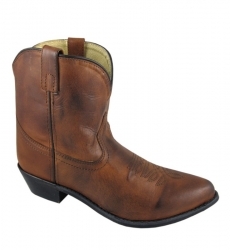 Gorgeous ladies 7" western boot in antique tan leather. It comes with leather upper, man-made lining, western toe and western heel, Composition sole and steel shank for easy riding.